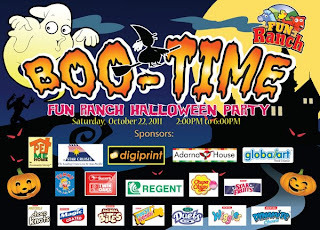 Mark your calendars on Saturday, October 22, 2011 at The Great Big Room of Big Red Barn in Fun Ranch, Ortigas for the much awaited 2011 Halloween Party of Fun Ranch . Trick or Treat around Fun Ranch immediately follows. 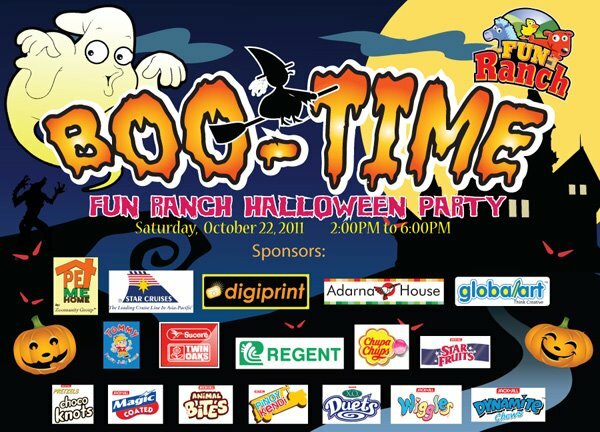 details, visit Fun Ranch events page or call 7063029/31. Limited tickets only. Missed this for my kids and their cousin Hope...we had a family event on that day.